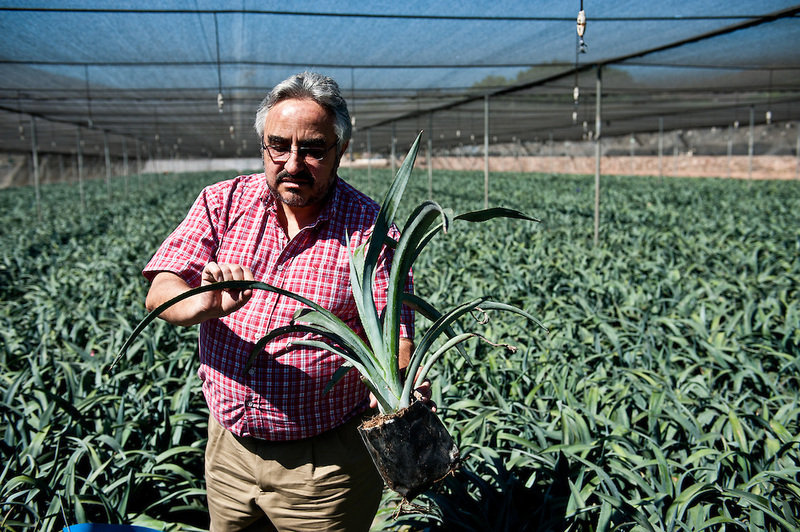 Dr. José Ignacio del Real Laborde, Technical Director at Casa Sauza, inspects young blue agave plants, called "hijuelos," at the company's nursery. Sauza's nursery raises the hijuelos until they are old enough for transplantation. There are roughly 500,000 plants hijuelos in Sauza's nursery at any given time.